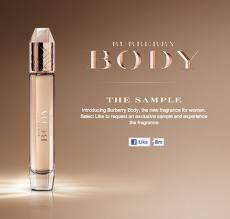 Request your free sample of Burberry Body while supplies last! We all have one common thing when it comes on choosing our fragrance. It’s about setting to it that it suits our taste and of course above anything else the scent that gives and expresses our own individuality.